Chef Sean Arnold and his wife Mandy took ownership of The Left Bank Restaurant & Bar in 2017, carrying on the 25-year legacy of York’s most reputable restaurant. Our team is dedicated to the idea that food should be experienced. Every day, we work together to bring fresh, flavorful dishes to our guests, served by an attentive staff who want you to have an exceptional dining experience – worthy of telling others about. 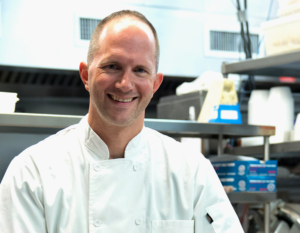 Committed to nourishing and nurturing people and planet, Chef Sean strives to reduce waste and source responsibly, while leading his culinary team with the belief that success is a team effort. 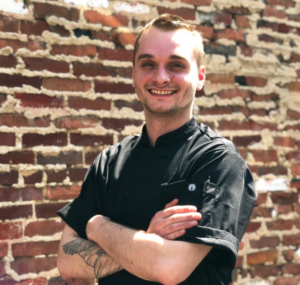 Chef Sean, a Baltimore native, has a MS in Sustainable Food Systems from Green Mountain College and is a graduate of the Culinary Institute of America. Prior to owning The Left Bank, he ran a successful private supper club that explored global flavors and unique dining experiences, earning him a reputation for being an ambitious Chef with a distinct perspective on creating memorable dining experiences through flavor exploration. Read more on Chef Sean Arnold. 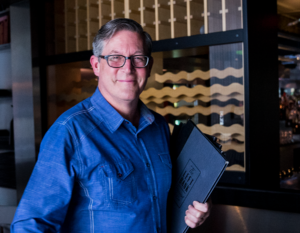 A recognized face in York, Scot ensures guests have a memorable experience while dining at The Left Bank. Scott is attentive to every detail, helping guests feel at ease and well cared for. 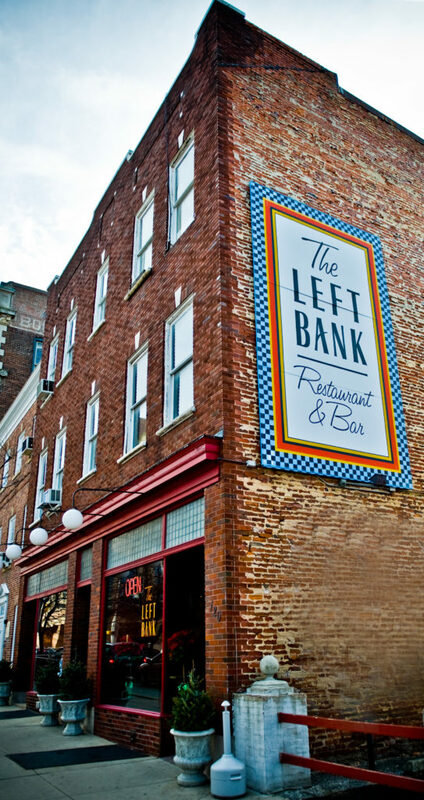 Interested in booking a private dining room, email us at sean@leftbankyork.com. Download our private dining area overview. Overseeing all pastry and dessert menus for the restaurant. Crafting specially made dishes for guests, including made-from-scratch recipes that are innovative and satisfying. Managing morning prep and ordering for the restaurant to run smoothly. 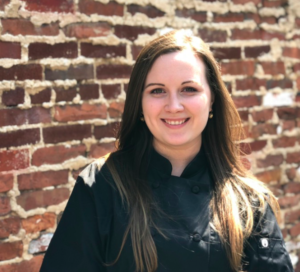 Oversees development of our custom soups, including collaborating with the team to develop unique menu items. 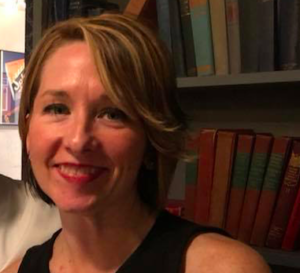 Married to Chef Sean Arnold, Mandy is the President/CEO of Gavin™, a digital public relations agency, when she’s not at the restaurant. Mandy oversees the brand persona and marketing strategy for The Left Bank.